Carefully Formulated To Both Protect And Love The Lip. NEW Christian Dior Rouge Dior Liquid Lip Stain (# 895 Fab Satin (Red) 6ml/0.2oz. Condition is New. Dispatched with Royal Mail 2nd Class. 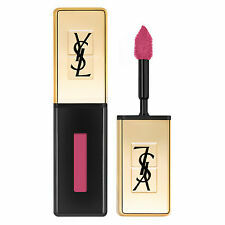 Yves Saint Laurent Rouge Pur Couture Pink Glossy Lip Stain 17 Encre Rose 6ml Bar code 3365440118157 From the designer house of L'Oreal Women From the brand Yves Saint Laurent 6 Milliliters Why choose between gloss & satin when you can have both! 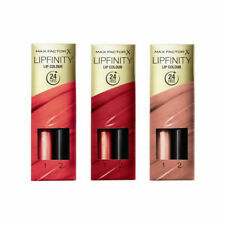 Give your self "The lip manicure" with pure color development and luster, a light charge that lasts The Yves Saint Launren combines both texture and shine of the gloss while giving you the longer lasting ware of satin Light comfort as you forget about the pure color development of the long lasting lipstick longed-for lips which you only dream of, but now women have realized you can have lushes lips with Yves Saint Laurent Glossy Stain delivers intense glossy colour for an extremely long-lasting shine. Carefully Formulated To Both Protect And Love The Lip. Ballet Pink. KW1-KW17, PA20-PA38, PA41-PA49, PA60-PA78, PH4-PH44, PH49-PH50, PO (Isle Of Wight) TR (Isles Of Scilly) ZE (Channel Isles). 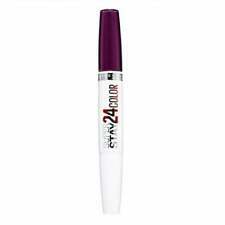 Carefully Formulated To Both Protect And Love The Lip. AB31-AB38, AB40-AB56, BT (Northern Ireland) GY, HS, IM (Isle Of Man) IV1-IV28, IV30-IV32, IV36-IV49, IV51-IV56, IV63, KA27-KA28. Novelty wine bottle Lip tint / stain. Waterproof and Matte. CR01 - ROSE CORAL. Set of 6 Colours. Carefully Formulated To Both Protect And Love The Lip. Dusty Rose. You will receive 3 different colored balm stain. Carefully Formulated To Both Protect And Love The Lip. KW1-KW17, PA20-PA38, PA41-PA49, PA60-PA78, PH4-PH44, PH49-PH50, PO (Isle Of Wight) TR (Isles Of Scilly) ZE (Channel Isles). Want the London look?. Satin Colour In One Stroke. Build coverage as desired. Triple complex of Shea, Mango and Coconut Butter. How to use. 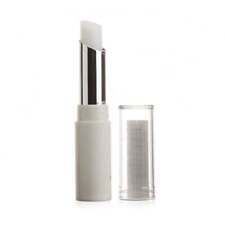 Carefully Formulated To Both Protect And Love The Lip. KW1-KW17, PA20-PA38, PA41-PA49, PA60-PA78, PH4-PH44, PH49-PH50, PO (Isle Of Wight) TR (Isles Of Scilly) ZE (Channel Isles). AB31-AB38, AB40-AB56, BT (Northern Ireland) GY, HS, IM (Isle Of Man) IV1-IV28, IV30-IV32, IV36-IV49, IV51-IV56, IV63, KA27-KA28.